Surprisingly few reviewers picked up on the punning title of this unsubtle but subversive Canadian feature, which takes an oft-used EVIL DEAD-inspired set-up (college kids killing each other while under a malevolent influence at a rural retreat) and uses it as an excuse to commentate on our crumbling 21st century world- and particularly the rise of the right wing. 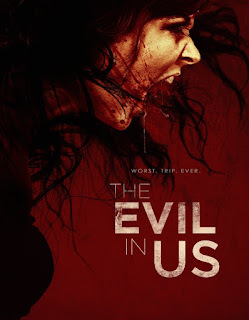 Presumably, were it made now, the title might be THE EVIL THAT TRUMPS US. Here, six unfeasibly attractive friends enjoy a weekend of booze and fun on a remote island – one that is ruined by their partaking of a new bio-engineered drug (masquerading as Cocaine) that turns its users into uber-paranoid, hyperactive neck-biting psychotics. Only weakened by an arduous sub-plot in which dull cops ploddingly unravel the narrative, this surpasses initial expectations of yet another 28 DAYS LATER-inspired “Rage” infection picture. The premise allows for vivid, gruesome set pieces that escalate in intensity, and the explanation for the drug, although executed in broad strokes, is unexpected. 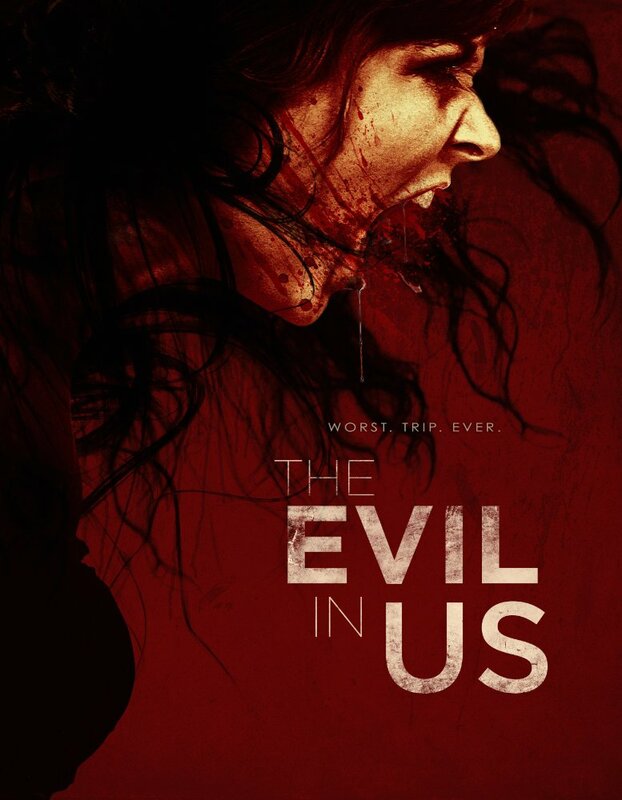 It also sets up a marvellously sour ending involving the most amusingly mean-spirited (off-camera) massacre of the year, followed by end credits accompanied by fake TV news clips reflecting the all too real spiralling horror that threatens to consume us all.